HoloLens is an AR glasses launched by Microsoft, which has received enthusiastic attention and application in the automotive design and aircraft maintenance industries. It is not new in 2018, but in 2018 it gained more important recognition. In October 2018, the FDA approved HoloLens for preoperative planning, which is where HoloLens is officially used in the medical industry. In time, AR+ surgical robots, telemedicine is not impossible. In December, HoloLens won a large order from the US military to help the US military use AR technology to achieve battlefield enhancement. In 2018, Jacky Cheung's concert tour helped the police catch more than 80 wanted man in 2018. Someone thanked Jacky Cheung for protecting. It is hard for protect safety just by mankind. The police can quickly identify the suspects and track them through the face recognition security system. It can also quickly capture thousands of people, probably Jason Bourne cannot escape. In 2018, the camera industry was even more sluggish. In order to survive in the colder winter, explosive products were taken out, but the industry trend could not be changed, and the prospects remained bleak. "Professional" will become a reserved place for the camera industry. Unless there is a new type of cross-border on any day. In 2019, the camera vendors may fight for it. After all, the 2020 Tokyo Olympic Games is coming. The mobile phone industry is also about to decline, but the absolute number is much larger than cameras. 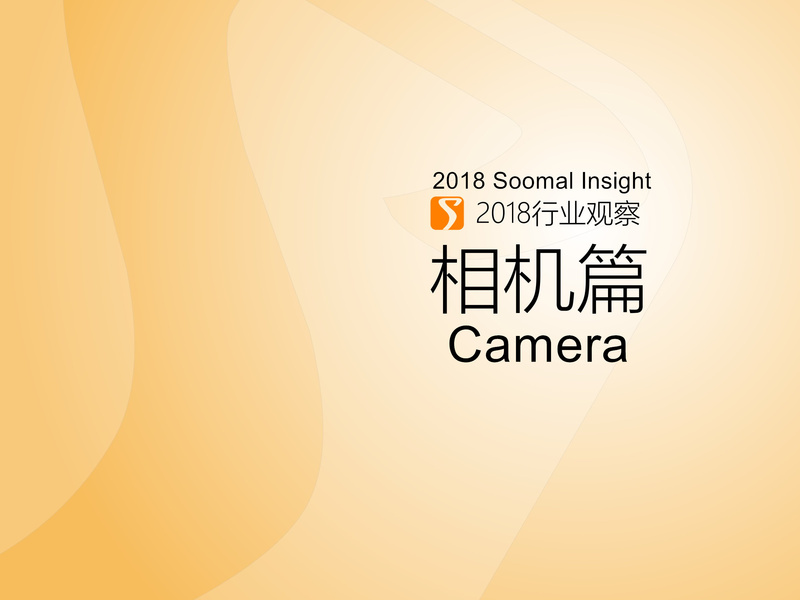 Even if the industry's overall decline, it will not have too much impact on the development of camera technology, as the camera technology is the key factor to be a weapon in surviving. The camera is the most differentiated place. Under the trend of homogenization becoming more and more obvious, the camera is a place that reflects individuality. We have reason to believe that in the next two years, it will still be a period of great development in mobile phone camera technology. With the development and penetration of AR technology, more industries can accept AR to improve efficiency. With the advent of the 5G era, the security network based on image recognition technology and AR will spread out in a wide range, and there is reason to believe that the security situation will become better. The advantage of the celestial dynasty is that everyone's attention to privacy is not high. The spread of these security networks will not encounter too much moral resistance. In foreign countries, people are still arguing whether face recognition is used for security or not. Because of these things, we also believe that China should be the best and fastest growing country in this kind of security network.